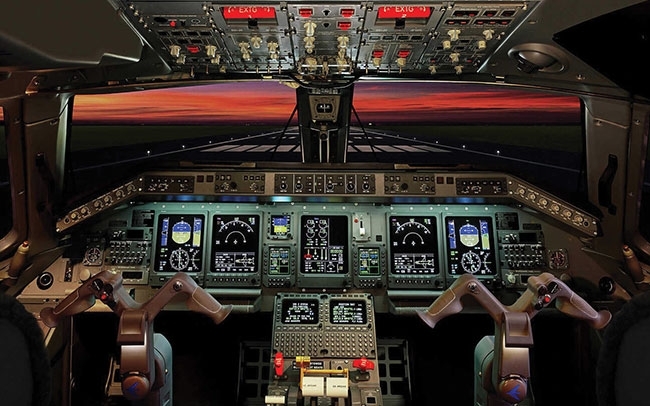 Every professional pilot has been taught about Crew Resource Management, but the most important crewmember has been left out of the conversation – that relationship between pilot and airplane automation. Most of these relationships are constantly on the edge of divorce. Neither side is really listening to the other and each spends most of their time just telling each other what to do, rather than trying to understand. The point of contention – By the time they go to the counselor for therapy (Chief Pilot’s office), the relationship is ruined. Someone is in trouble, but the pilot is always going to take the blame. The automation will always believe its opinions are correct, so there is no way to convince it otherwise. Sometimes during an argument, pilots need to say, “Fine, I’m done with you.” Click – Off with automation. Make sure you have a clear understanding of the automation’s opinion before re-engaging. Don’t re-engage until you only pay attention to the systems that are functioning correctly. Do you have two good engines, with normal indications? The growing trend of recent fatalities, in both business aviation and with the airlines, is the misunderstanding between the pilot and the automation they’re trying to have a relationship with. Consistently, the problem lies in the pilot misunderstanding the variables of a selected setting, but also automation having an erroneous belief and then demanding that the pilot react to this incorrect input. A Challenger 604 crash in March 2018 was a result of this dysfunctional relationship. The short story is that there was a discrepancy between the airspeed indicators. There was severe turbulence and icing condition forecasted up to FL450 that day. The captain’s side indicated an overspeed condition with warning clacker and during a climb up to FL380, the captain brought both engines to idle – and the first officer asks the captain to disregard his airspeed indicator. Then in complete contrast to what the captain thought was happening, they received the correct stick-shaker indication that the captain ignored while putting the aircraft into a deep stall, flaming out both engines. Within nine minutes of a misunderstanding between pilot and computer, all 11 people became part of a mountainside. Lots of layers here, but the tragedy was a result of responding to passive aggressive automation. Initial reports from the Lion Air 610 crash have similar divorce qualities, but the airplane automation took it one step further. Even with autopilot off, internal automation (MCAS) kept screaming at the pilots to listen to it, by shaking the stick, moving the trim and forcing the nose over to comply with a faulty AOA indicator. Two good engines, one false indication, and all 189 people onboard had to suffer the consequences of this toxic relationship. As with all relationships, in the beginning, it’s bliss as you learn new things about each other. Ahhh, you can do vertical navigation for me – really? Oh, thank you. Can you navigate us down a perfect ILS approach to minimums? Oh my, that’s lovely. EFB, Auto-throttle, FADEC, Auto Emergency Descent, Automatic Ground Spoilers – thank you. Then, time moves on and because each is so reliable, the relationship becomes co-dependent and complacency sets in. The pilot neglects their basic piloting skills, because no matter how good you are, the autopilot is better. It’s perfection. Pilots are a bit jealous, but it makes our job so much safer and we look so good when the flying is smooth. We can fly around the world in complex airspace safer than we ever have before. Then, suddenly, for no apparent reason, the automation feels neglected. It thinks you’re not paying it enough attention, so out of nowhere, it misbehaves. We’re shocked because we love it so much and we initially want to trust it. We follow it down the wrong path and when we realize the deception, we can’t find our way back to the truth. The reality is that pilots must know and train for so many different things, it’s impossible to train for all of the variables. So we need to train for the default of all those variables; raw, basic pilot skills. But, that also means we need to convince engineers, that indeed, things do happen even if they think it’s going to be impossible. Just ask the B747 crew that had all three INS units fail, or the Beechjet pilots that had dual engine flameout, or the B777 that had dual engine flameout on final because of ice crystals, or every flight crew that has two or all three AHARs flight displays showing different indications, or every CFIT victim. The impossible happens all the time. Erika Armstrong is the author of A Chick in the Cockpit. Is automation eroding pilots’ skills?